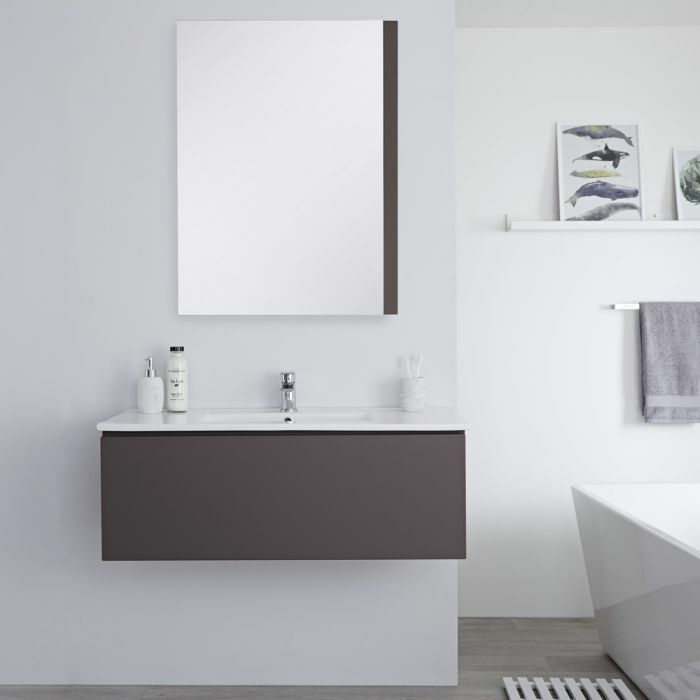 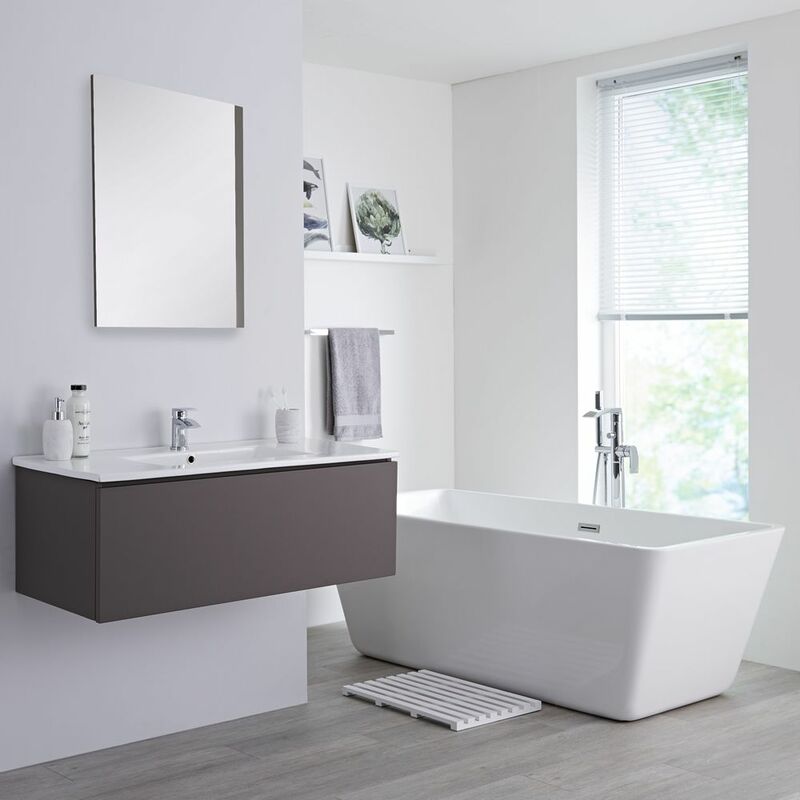 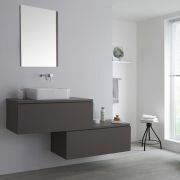 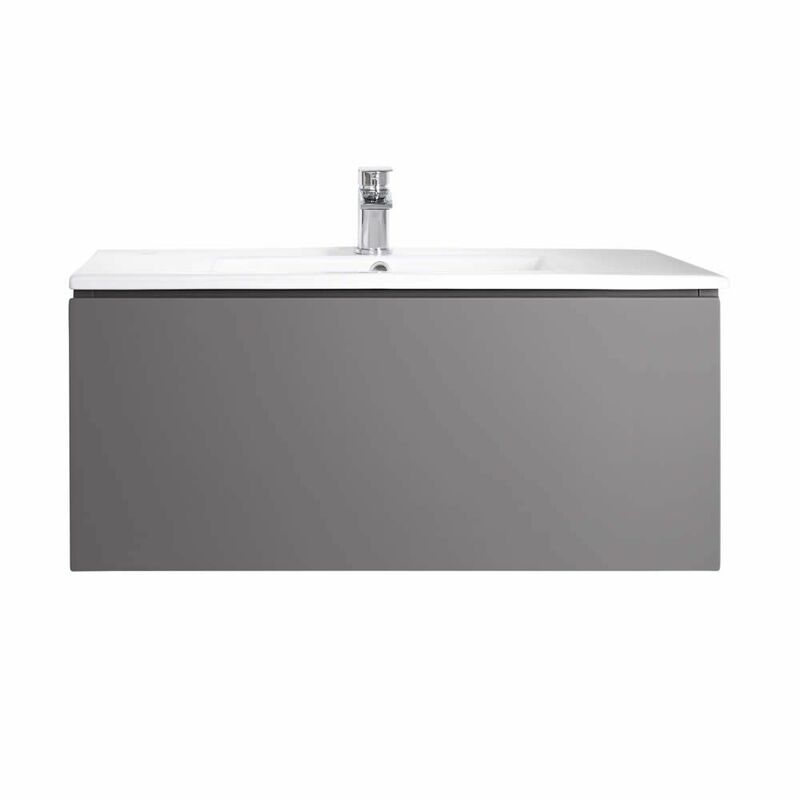 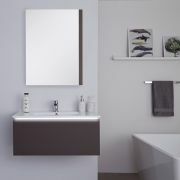 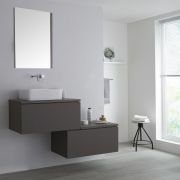 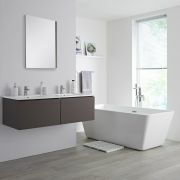 Add a smart new look to your bathroom and create a contemporary storage solution with the wall-mounted Milano Oxley 1000mm vanity unit and basin. 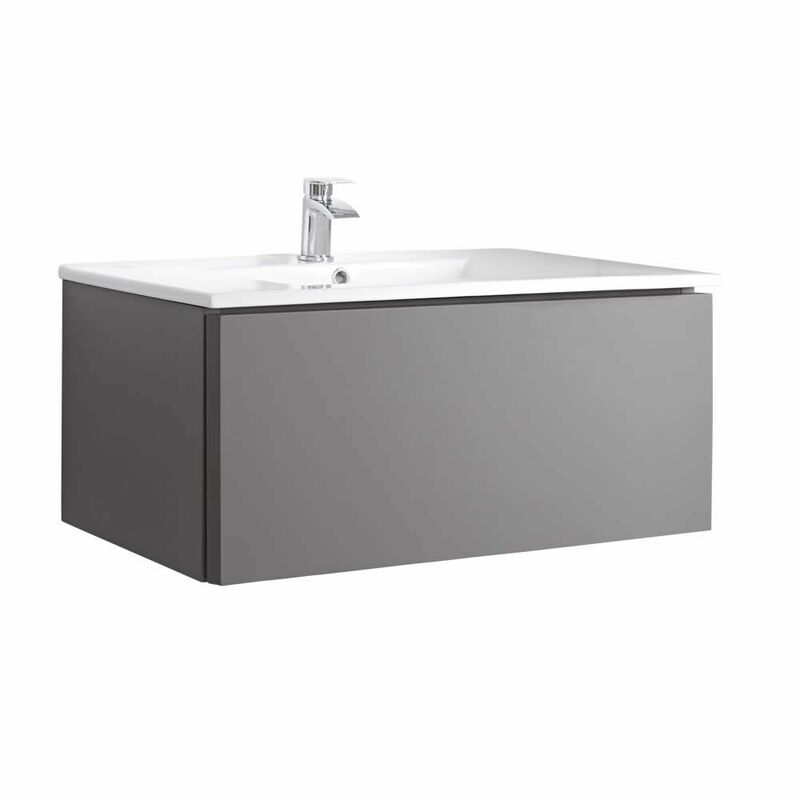 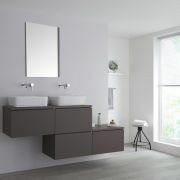 Combining strength and long-lasting durability, thanks to the moisture resistant engineered wood construction, with the style of the matt grey finish, the Oxley vanity unit encapsulates form and function perfectly. 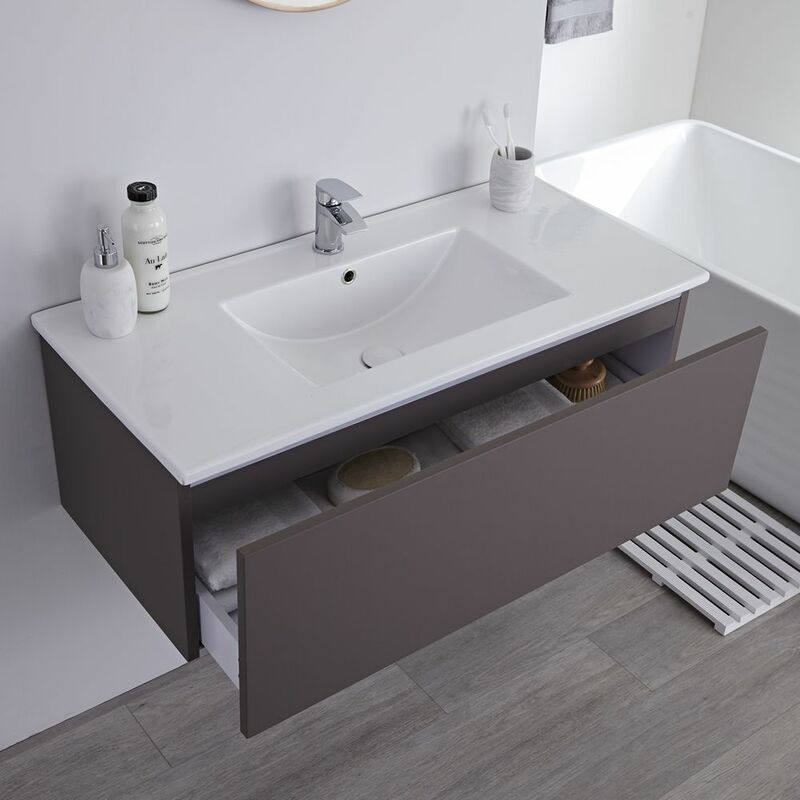 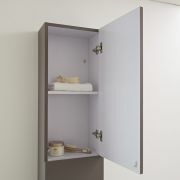 To maintain a minimalist look in your bathroom the generous push to open soft close drawer allows you to store your toiletries and cosmetics out of sight. 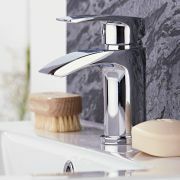 Fitted with a stylish basin, made from high quality ceramic with an easy to clean white glaze finish, and fitted with a single tap-hole, the final look can be tailored to your taste using one of our mono taps. 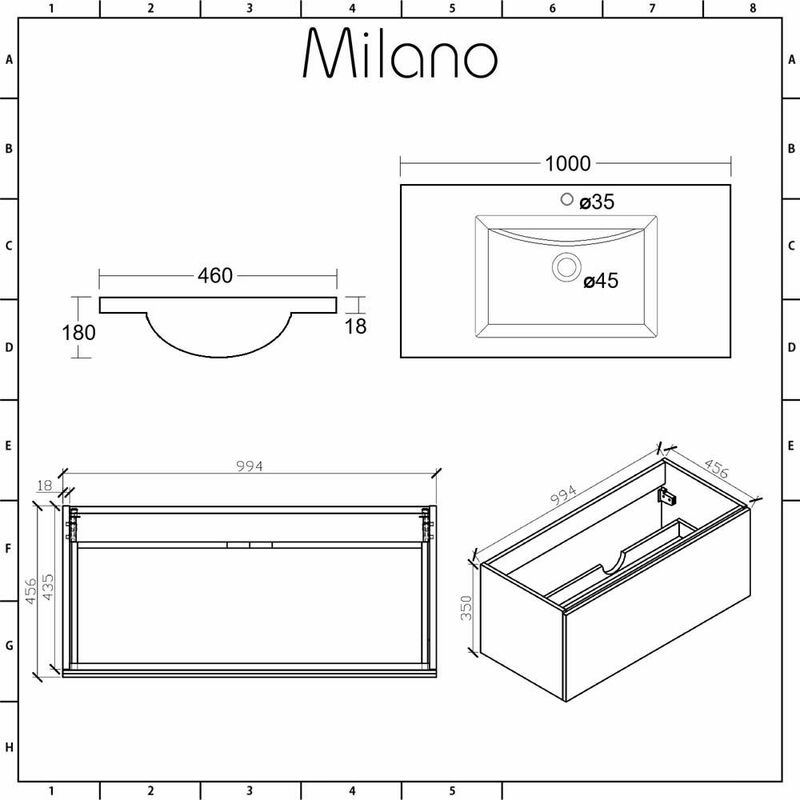 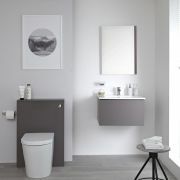 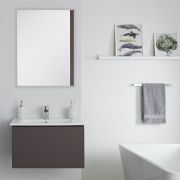 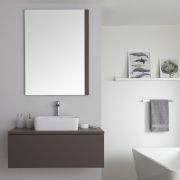 Continue the theme in your bathroom by pairing the vanity unit with matching items from the Milano Oxley matt grey range, such as the WC unit. 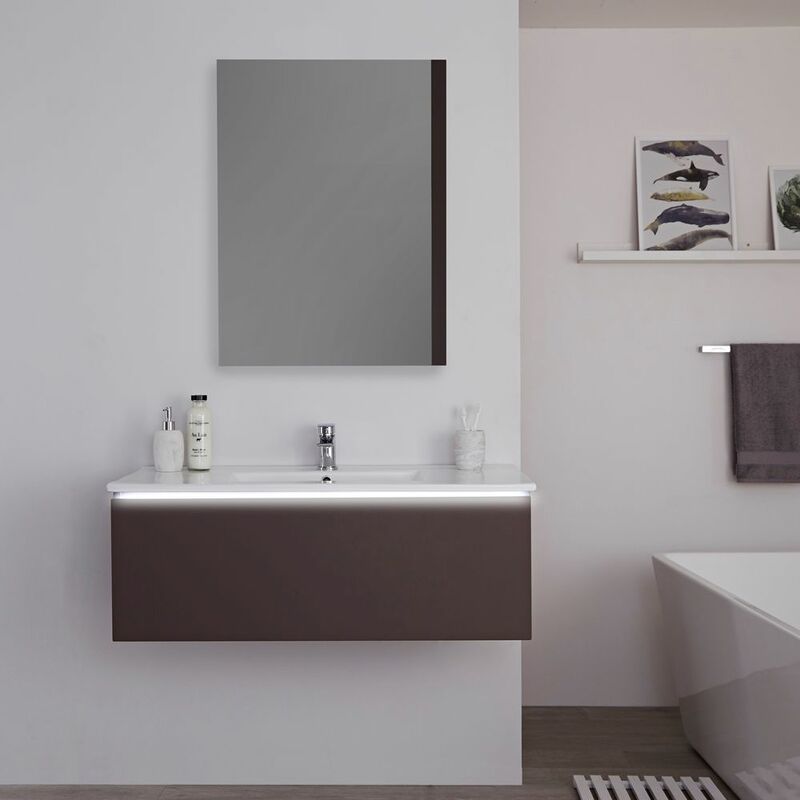 Further enhance the elegance of the vanity unit by choosing the optional energy efficient LED light to illuminate the drawer contents when open and giving the furniture a sleek glow when closed – perfect for those night-time trips to the bathroom!